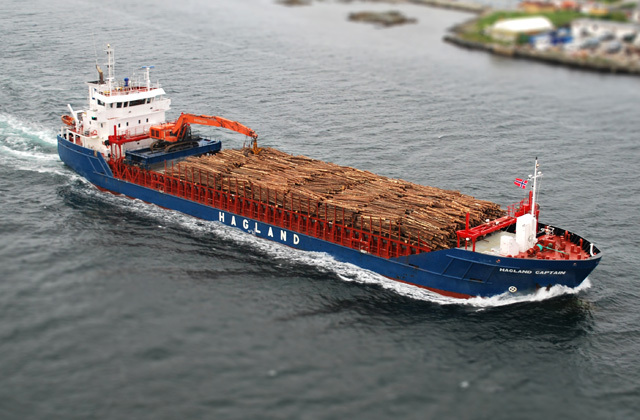 Hagland Shipping was established in 1983, and has since developed into a fully integrated shipowning/operating company with a fleet of self-discharging dry-cargo vessels. We pride ourselves in being a professional, reliable and efficient partner for our clients, meeting their need for high quality and economically competitive marine transportation. Our fleet presently consists of 14 vessels, of which six are owned by Hagland and eight are chartered in (T/C). Hagland Shipping has long experience in handling and transporting all kinds of cargo, both conventional and self-loading/discharging. We are servicing a range of clients under long term charterparties (COAs) and through the spot market. Typical cargoes include timber, pulpwood, woodchips, sand, gravel and other stone products, as well as a number of other bulk cargoes. Our main operating area is the North Sea and Baltic.